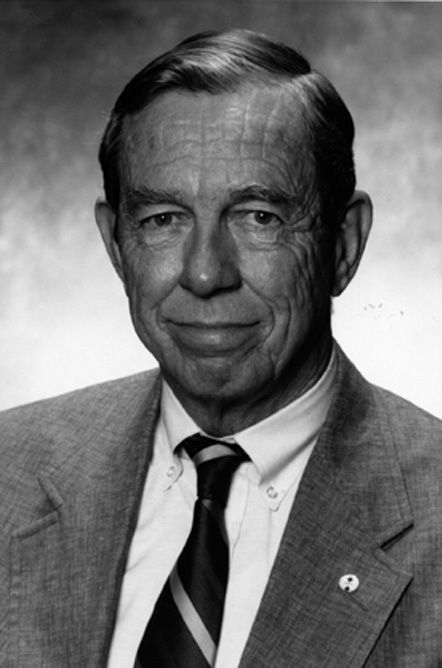 Harry Rodenhizer (1927-2007) served two nonconsecutive terms as mayor of Durham. He was first elected in 1979 and again in 1991, when Durham was experiencing a brief economic downturn. In his first mayoral campaign, he pushed for finishing the long-stalled and highly controversial Durham Freeway. Once in office, he delivered a 12-1 city council vote to push ahead. During this second term, Rodenhizer worked with his neighbor and city council member Chuck Grubb to put together a funding package to build a new baseball park after voters had rejected a bond issue for it. Rodenhizer was a Republican and fiscal conservative who also served as a city school board member and sent his children to the predominantly black city schools when nearly all white students attended the predominantly white county schools. He led the first integrated local Boy Scout troop, troop 13, in the 1970s and later served as the first district Scout chairman when the two local white scout groups merged with area’s single black group. He owned and ran the Pizza Palace, an iconic pizza place on Hillsborough Road, for 25 years.